Dru Yoga & Meditation boosts wellbeing in your body, mind and emotions. It gives you control over your health and transforms your mind and emotions to benefit everyone around you. If this sounds good, read on! In a survey of 450 Dru Yoga students, 72% found Dru Yoga reduced their back pain. Dru is designed to be very safe, balancing your back muscles to bring ease and avoid injury. 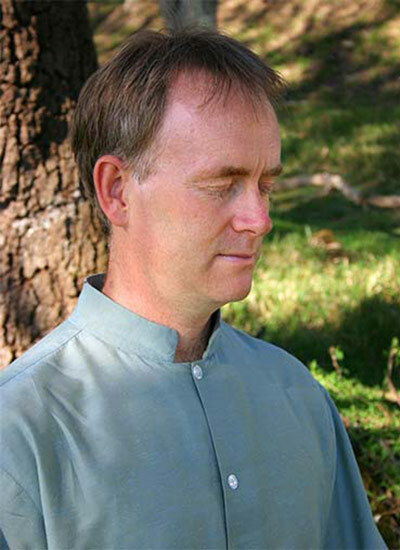 Dru Yoga is a unique combination of activation, energy block release sequences, asanas, and a long deep guided relaxation which together create a great feeling of well-being. If you’ve always wanted more vitality and a zest for life, then Dru Yoga will release blocked energy and put a spring in your step! The Dru approach to traditional hatha yoga postures enables the flow of energy to revitalize the body from inside out – helping you feel great, very quickly! No matter what age, shape or size you are, you’ll be able to do Dru Yoga. You won’t need to compare yourself with anyone, and we never talk about the ‘perfect posture’. Instead we always encourage many ways to do a yoga pose depending on your unique ability. The emphasis is on you. Full stop. After doing Dru Yoga, I feel relaxed, calm and more centered. It certainly is a wonderful tool for your mind, body and soul. 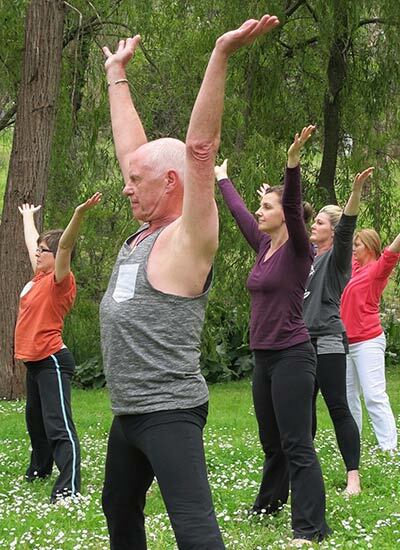 Many people find that they can transform difficult emotions like anger, lack of confidence or grief through Dru’s yoga sequences, giving access to their inner strengths. and even increase brain size! You won’t just be touching your toes with Dru. It’s based on ancient yogic wisdom and includes meditation, mudras (hand gestures) and pranayama (directed breathing) which bring a deep sense of inner peace, no matter how busy you are! And if you fancy taking things further, we have a strong post-graduate programme with many personal development courses too. Science is now agreeing that meditation can be a powerful form of stress relief and can help general health. More and more research is also being conducted on the benefits of meditation. Studies have shown that meditation helps a variety of conditions including: stress, depression, heart disease, cancer, back pain, asthma, anxiety, high blood pressure, sleep problems and allergies. Meditation has also been shown to decrease general pain levels, boost your immune system, improve mood, increase self awareness and even increase brain size. 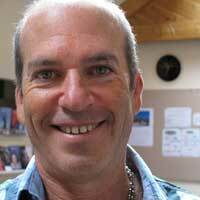 In my Dru Yoga classes I’ve noticed my students experience a sense of emotional positivity and deep-rooted change. Meditation creates a unique hypo-metabolic state, in which the metabolism is in an even deeper state of rest than during sleep. During sleep, oxygen consumption drops by 8 percent, but during meditation, it drops by 10 to 20 percent. Meditation is the only activity that reduces blood lactate, a marker of stress and anxiety. The calming hormones melatonin and serotonin are increased by meditation, and the stress hormone cortisol is decreased. Meditators secrete more of the youth-related hormone DHEA as they age than non-meditators. Meditating forty-five-year-old males have an average of 23 percent more DHEA than non-meditators, and meditating females have an average of 47 percent more. 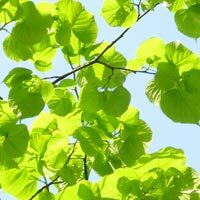 This helps decrease stress, heighten memory, preserve sexual function, and control weight. Meditation has a profound effect upon three key indicators of aging: hearing ability, blood pressure, and vision of close objects. Long-term meditators experience 80 percent less heart disease and 50 percent less cancer than non meditators. 75 percent of insomniacs were able to sleep normally when they meditated. 34 percent of people with chronic pain significantly reduced medication when they began meditating. In an article published in the British Journal of Sports Medicine, Dru Yoga is quoted as being part of a successful 7 point plan, used by physiotherapists on Liverpool Football (soccer) Club’s players to reduce hamstring injuries. Recurrent hamstring injuries are a major problem in sports such as soccer. The research followed a professional soccer player who had sustained five hamstring injuries. Liverpool’s doctors and physiotherapists successfully used a seven point programme which included Dru Yoga. The player started regular sessions of yoga-based stretching and relaxation with a qualified Dru yoga instructor. These consisted of Dru fascial warm-up techniques; intense hamstring and low back stretches; guided Dru relaxations and Dru breath training (techniques to improve lung capacity, stamina and to activate the relaxation response through the body). Sessions were undertaken for 60 min twice per week. The player soon reported subjective improvement in his hamstring freedom. Yoga makes you feel great! A study published in the Scandinavian Journal of Work Environment and Health showed that Dru Yoga significantly improved wellbeing and resilience to stress in the workplace, compared to a control group. More research is being done on the benefits of Dru Yoga for back pain and other health challenges. In the world's first randomised controlled trials into the benefits of yoga in the workplace, Dru Yoga has been shown to significantly decrease back pain, increase performance under stress, boost confidence and emotional wellbeing. UK research, published in the Journal of Occupational Medicine, shows that Dru Yoga can reduce perceived stress and back pain at work. Stress and back pain are two key factors leading to sickness absence at work, costing the British economy an estimated £17 billion per year. This study by researchers at Bangor University suggests to employers that wellbeing programs that include yoga can have a significant impact not only in reducing stress, but also in preventing back pain. Wellbeing programmes that include yoga have a significant impact on absence through stress. More than 80 participants in the study were recruited from Conwy County Council and randomised into a yoga group who received one 50 minute Dru Yoga session each week for 8 weeks along with a 20 min DVD for home practice, while a control group who received no intervention. Dru Yoga is one of the UK’s largest schools of yoga, and includes therapeutic stretches and postures to ease back pain, flowing movements designed to relieve stress, and breathing exercises which calm the mind. When compared with the control group, the yoga group scores were significantly lower for perceived stress, back pain, sadness and hostility, and much higher for feeling self-assured, attentive and serene. "The results indicate that a workplace yoga intervention can reduce perceived stress and back pain and improve psychological wellbeing." The study authors concluded: "The results indicate that a workplace yoga intervention can reduce perceived stress and back pain and improve psychological wellbeing. "Larger randomised controlled trials are needed to determine the broader efficacy of yoga for improving workplace productivity and reducing sickness absence." 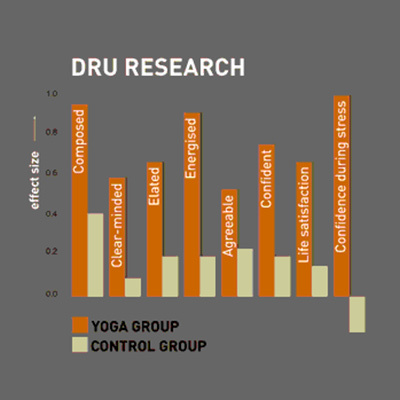 Research into the benefits of Dru Yoga was conducted at the University of Bangor (UK). 48 employees were randomised into a yoga group and a wait-list control group. The yoga group were given Dru Yoga for six weeks with three 60 minute classes per week. The wait-list control group received no intervention during the six week study but were offered free classes after the trial. Before and after measurements were obtained with the Profile of Mood States - Bipolar, and the Inventory of Positive Psychological Attitudes. This study pioneers efforts to show that Dru Yoga benefits not just your physical health. 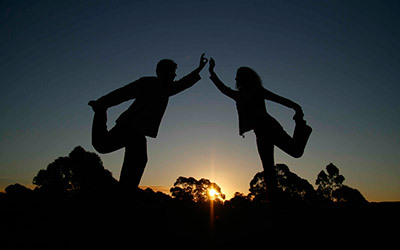 Dru Yoga also benefits your emotional, mental and spiritual life - all of which are likely to improve your relationships, sense of purpose and connectedness to what's important in your life. There is now a plethora of randomised controlled trial research showing the benefits of yoga to a whole gamut of health conditions including heart disease, pms, breast cancer side effects, back pain, depression, and cancer and there are many more. 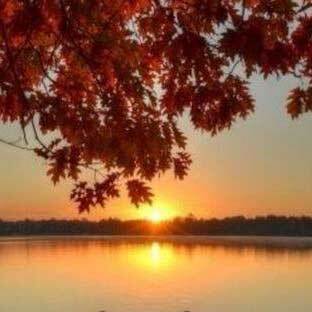 People living harmoniously with others creates a sense of peace within. 89% say they are better able to handle stress while over 84% regularly experience less body tension. 91% say that Dru Yoga transforms negative thinking. About 69% report that they have more positive sleep patterns. 72% experience a positive change in their back pain after doing Dru Yoga. 93% of respondents experienced greater flexibility in spine and joints. 84% experience an improvement in overall body tension, a significant factor in decreasing back pain. 83% of respondents notice that they have a greater ability to handle their emotions since doing Dru Yoga. 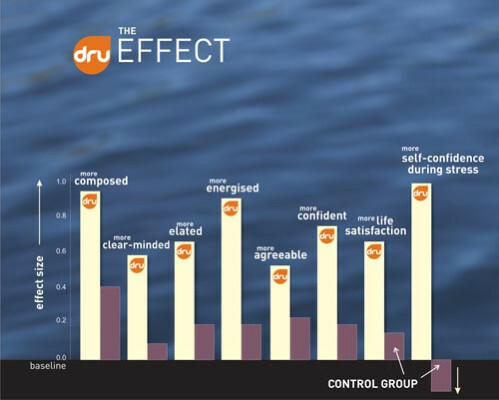 84% experience a positive shift in their mood after practicing Dru Yoga. 73% have a better ability to deal with conflict. Dru Yoga helps you create a better society! It helps people have more harmonious relationships and find greater peace within. 79% of people practicing Dru Yoga experience higher levels of serenity. 79% report they are more patient and open with others. 82% feel more tolerant towards others and over 76% feel greater feelings of compassion for others. 74% report a positive improvement in their communication skills and over 74% report an improvement in their ability to handle relationships. 85% of respondents experience a boost in their energy levels after doing Dru Yoga. 82% of participants notice an improvement in their strength and stamina. 92% of respondents report that their body awareness has improved. It amazes me how Dru Yoga can transform my whole personality to become a calmer, kinder and energised person. I love the moves, the people, the philosophy and the environment of Dru. About to start the teacher training course - I can't wait. What kind of people are experiencing these massive transformations in their lives? About 65% are students of Dru Yoga or Dru Meditation classes; 35% are their teachers. Amazingly, nearly 50% of these people say they practice their Dru less than once every five days. Imagine gaining all these benefits from something you do only once a week or so! And then imagine how much you'd gain if you practiced some of these easy self-help approaches every few days.